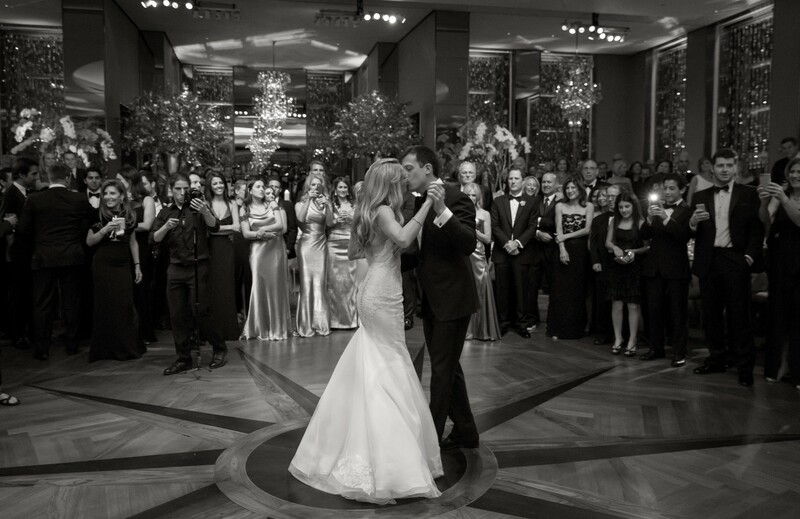 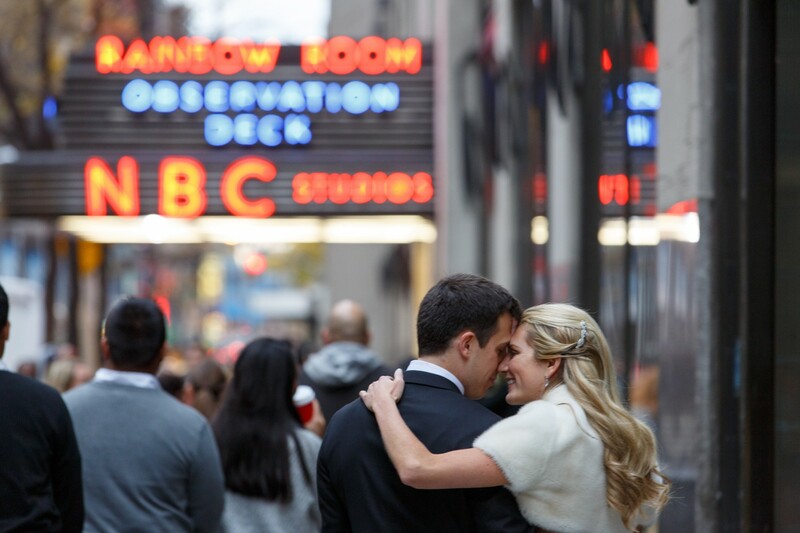 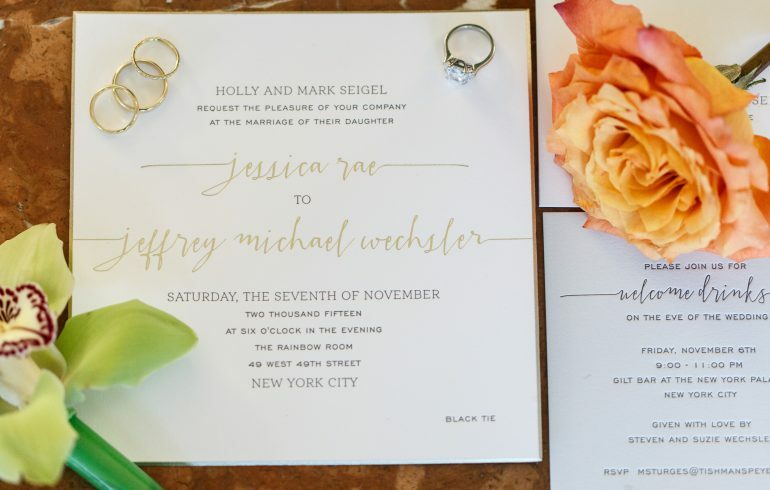 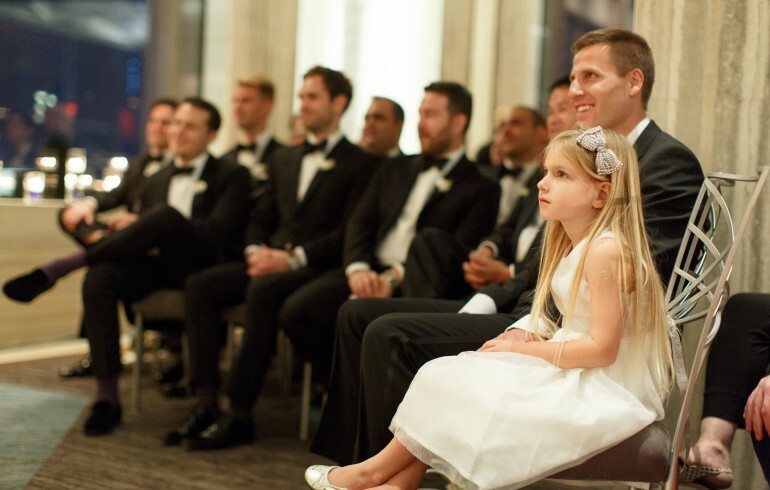 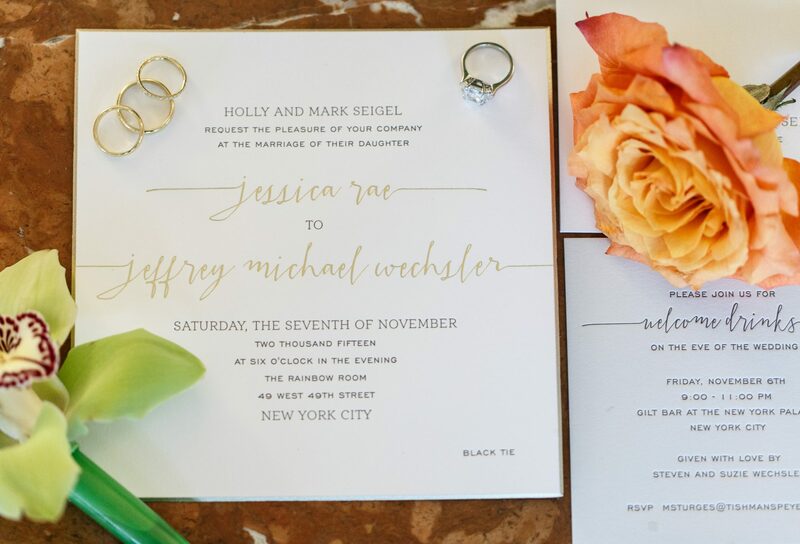 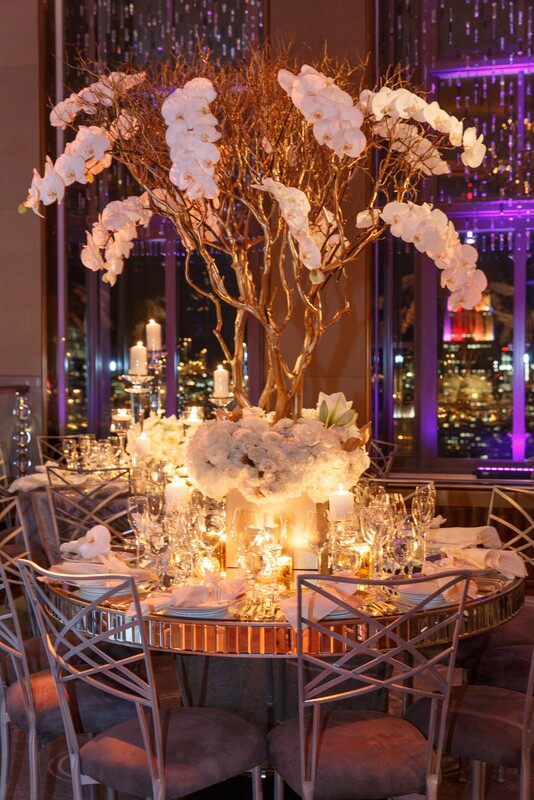 Jessie and Jeff treasured the rich history and timeless deco style of the Rainbow Room, but also loved the contemporary trend of mixed metallic accents. 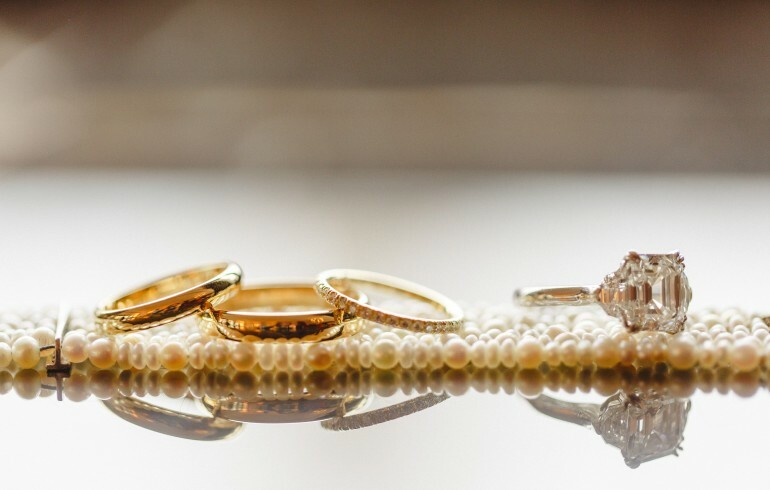 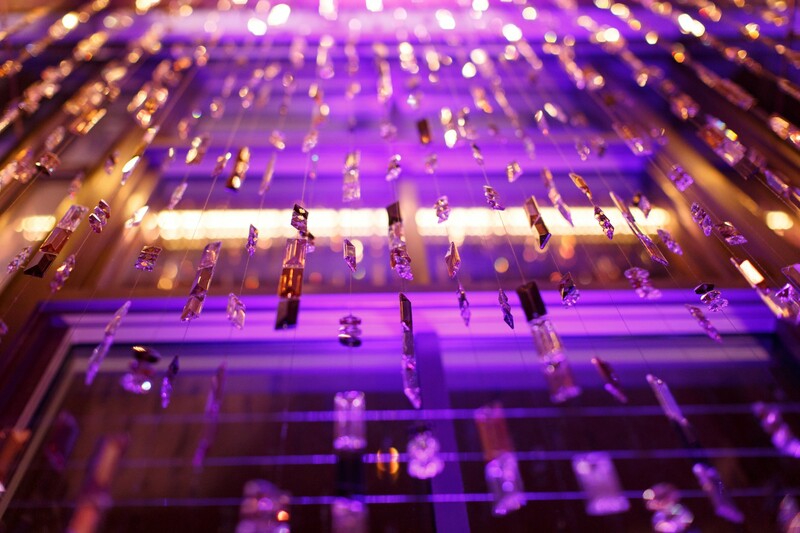 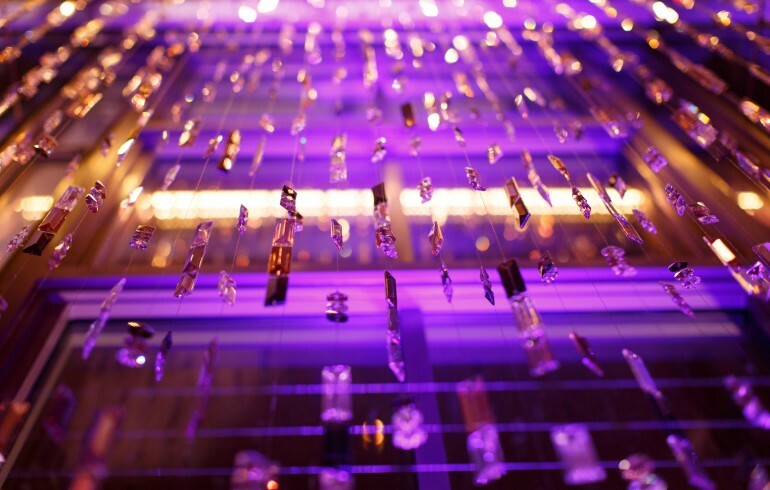 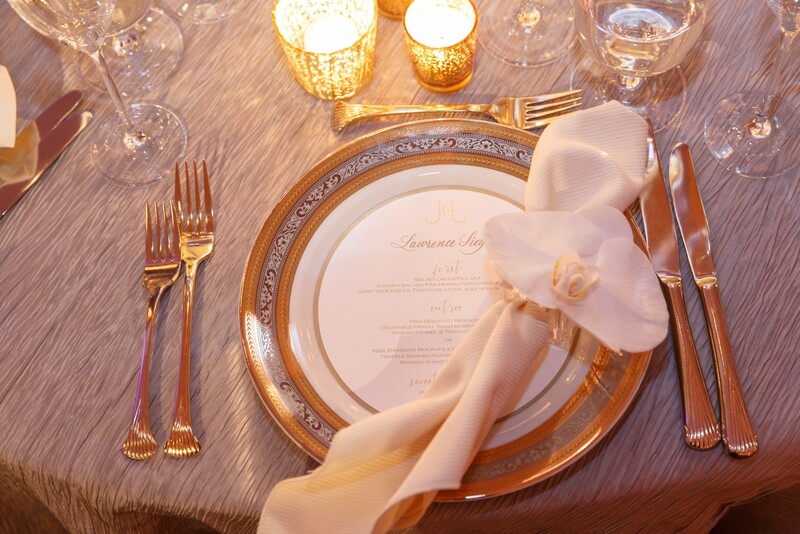 We designed a fresh, modern take on timeless gold, silver and crystal elements already found in the classic landmark venue. 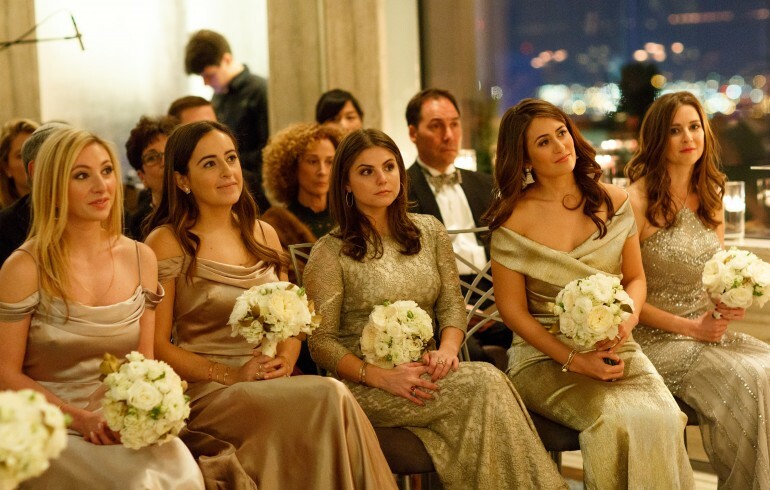 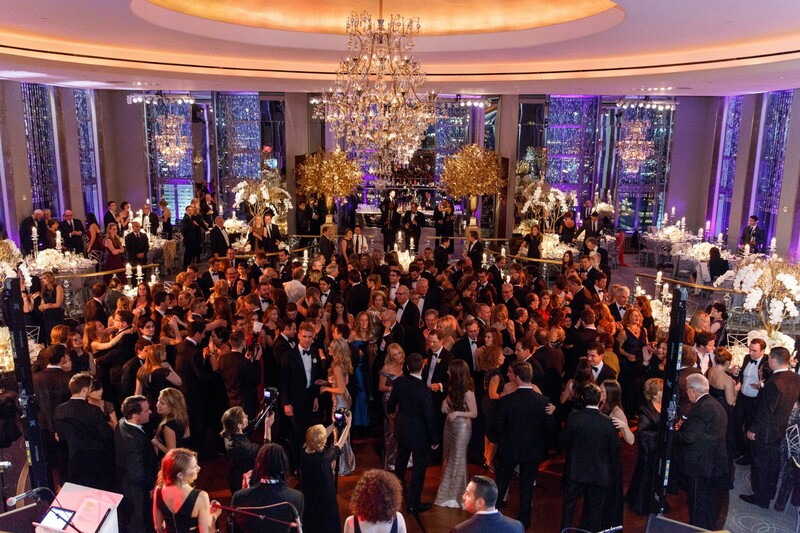 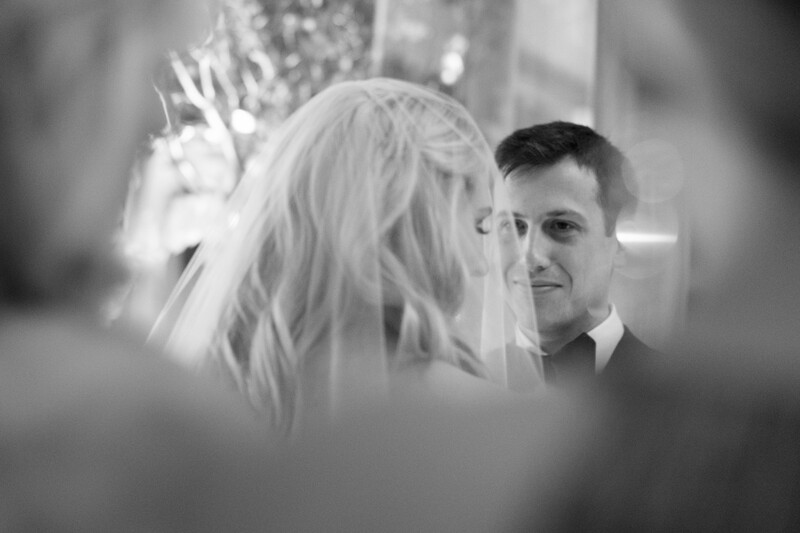 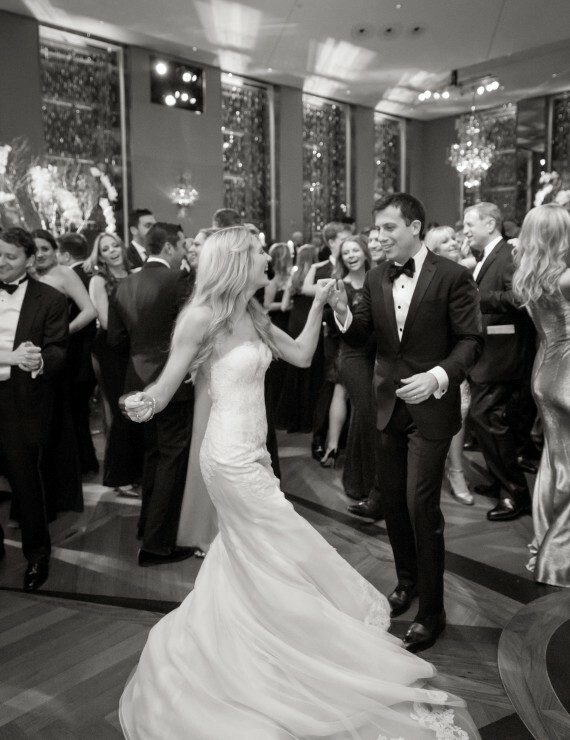 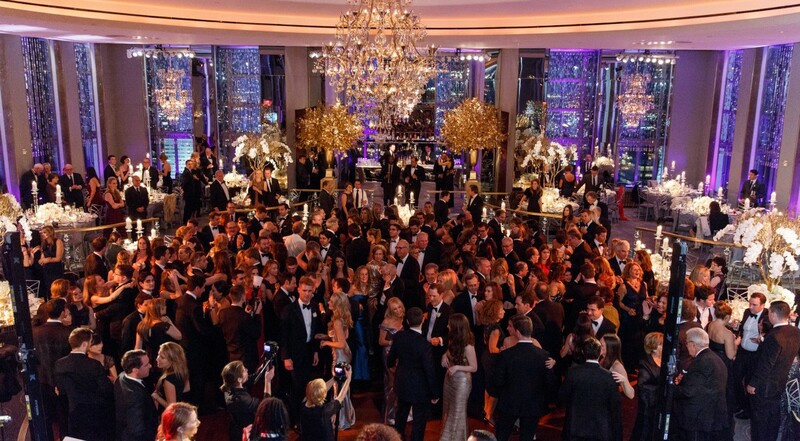 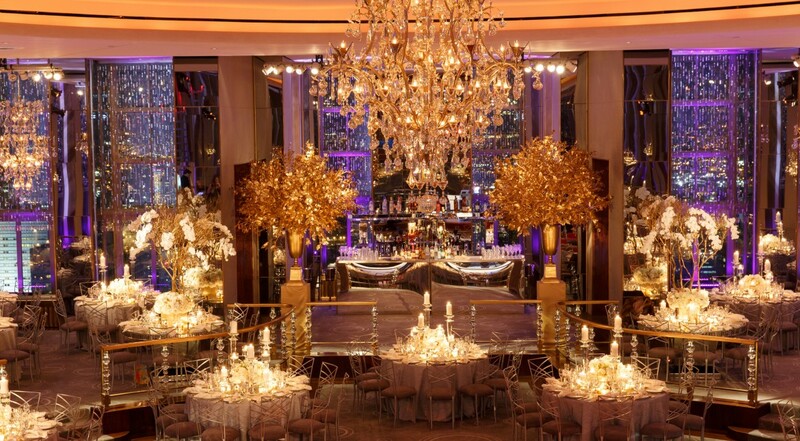 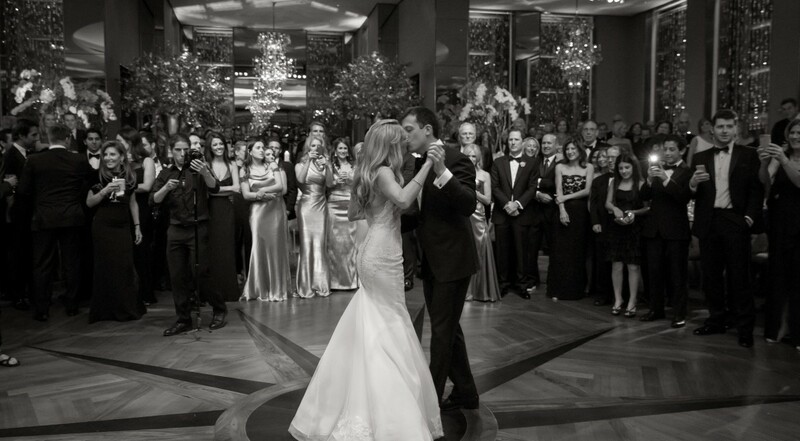 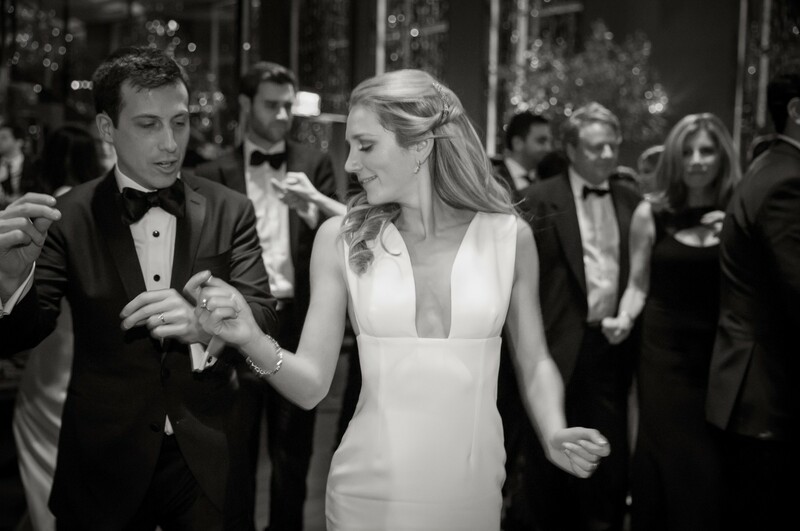 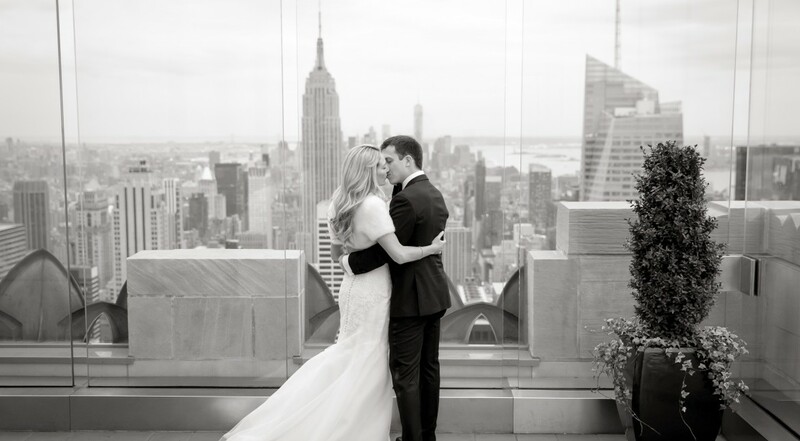 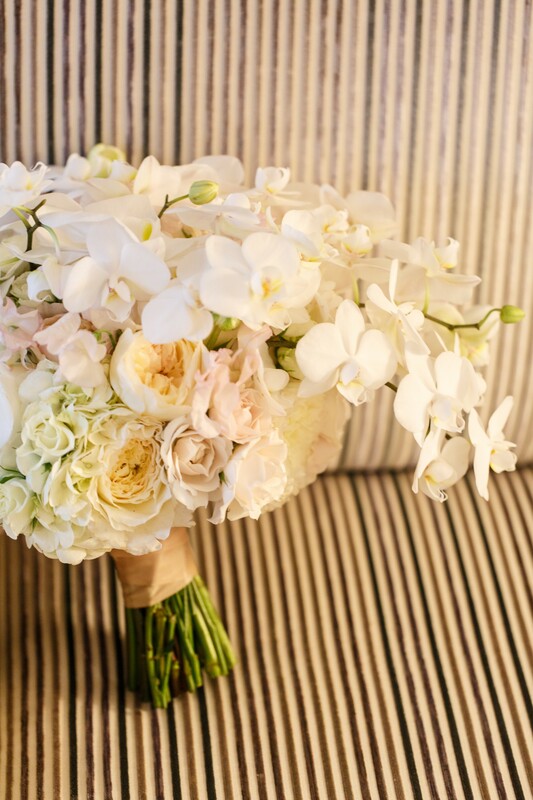 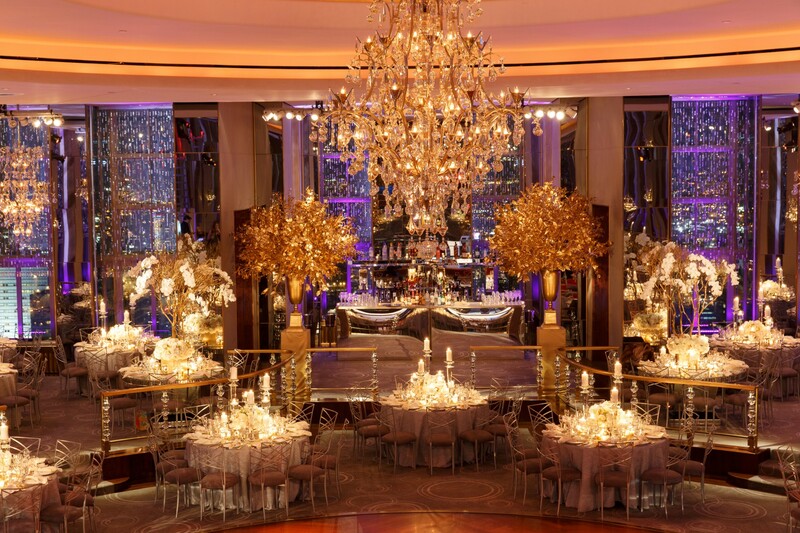 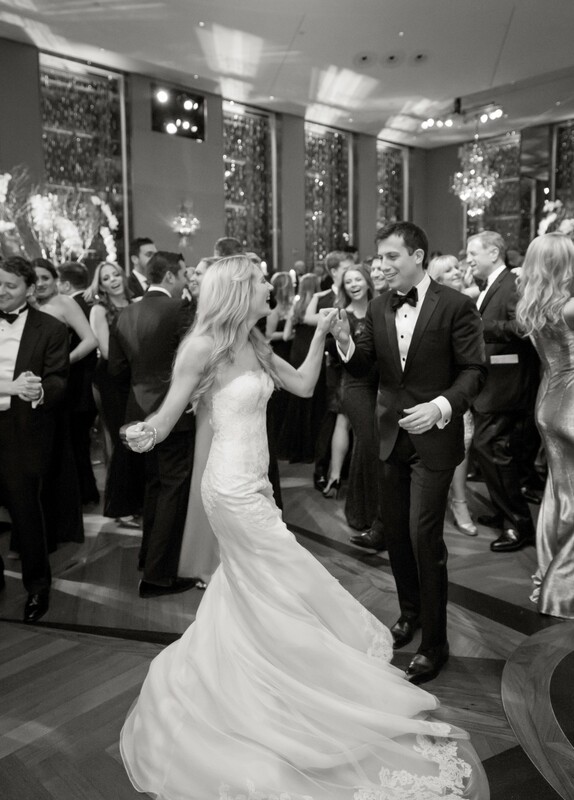 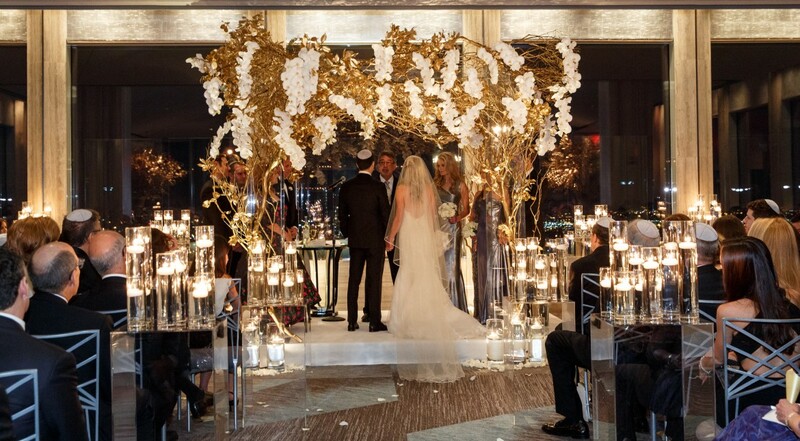 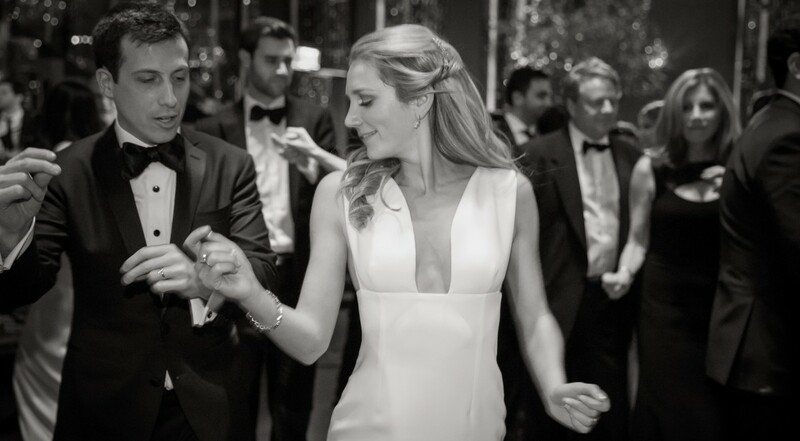 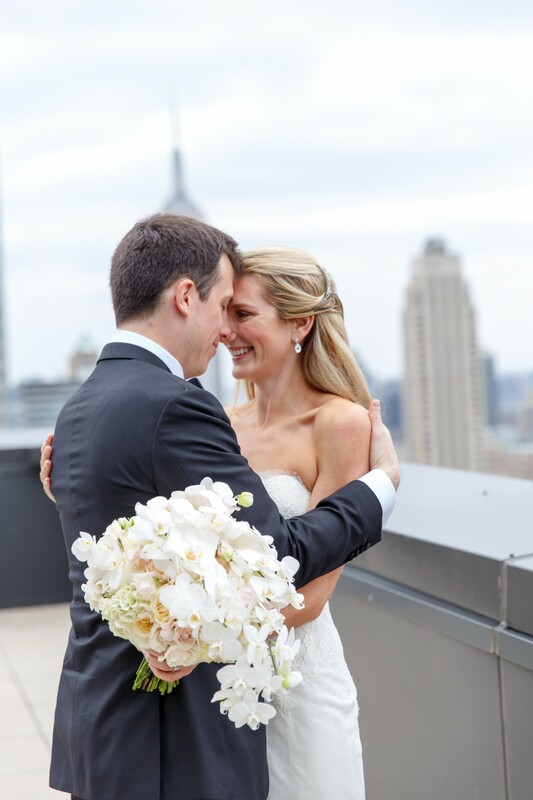 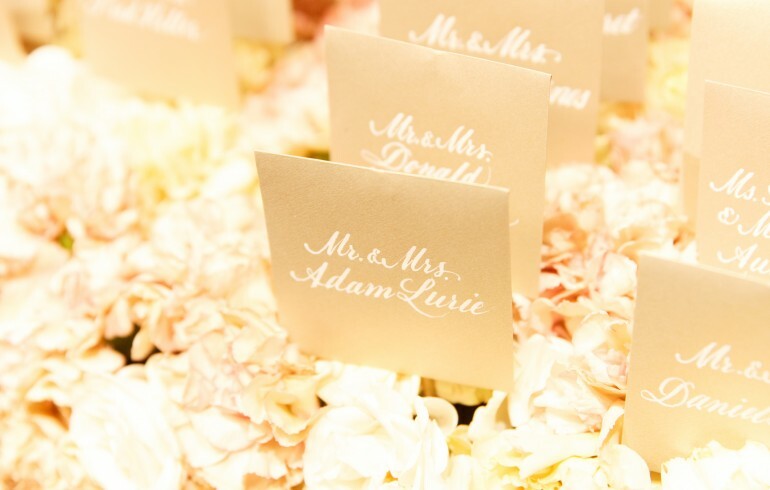 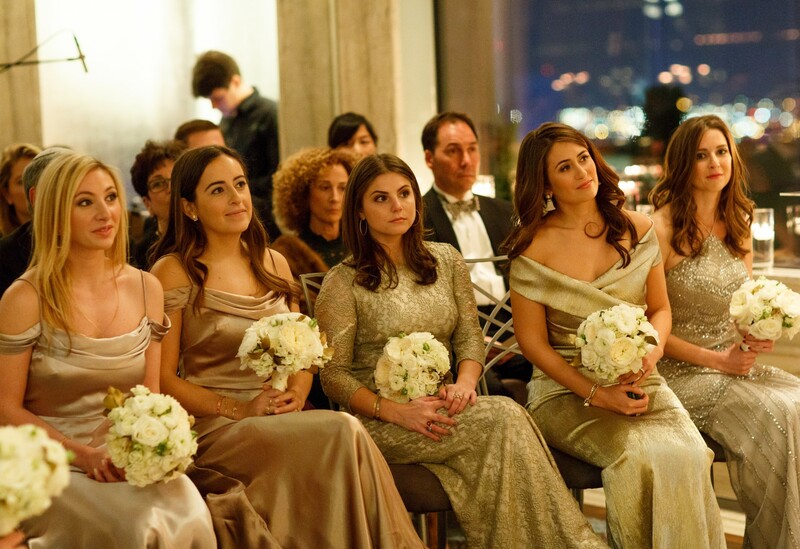 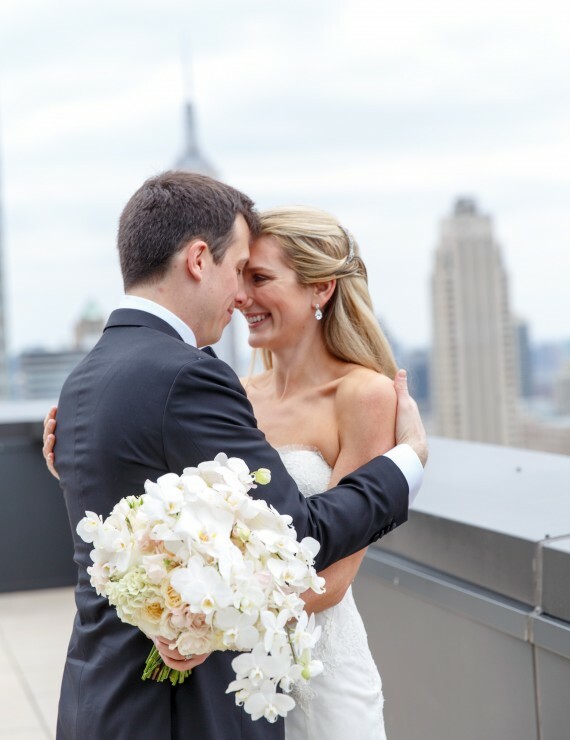 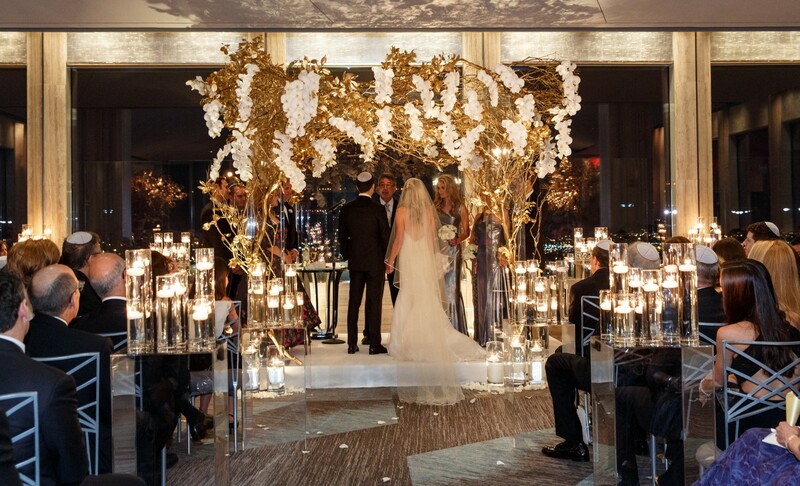 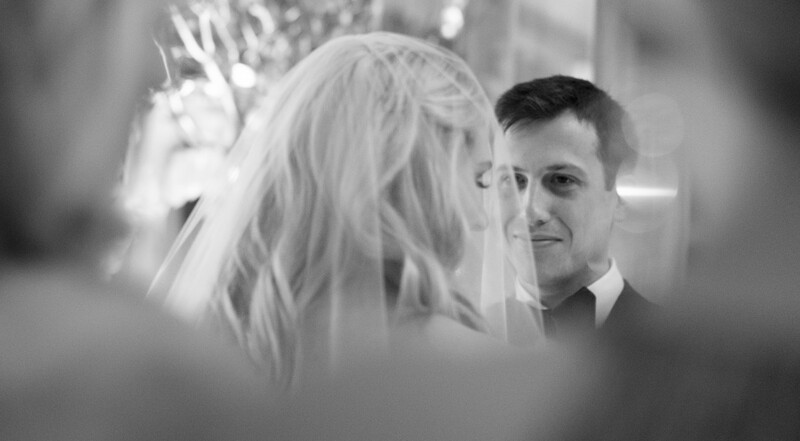 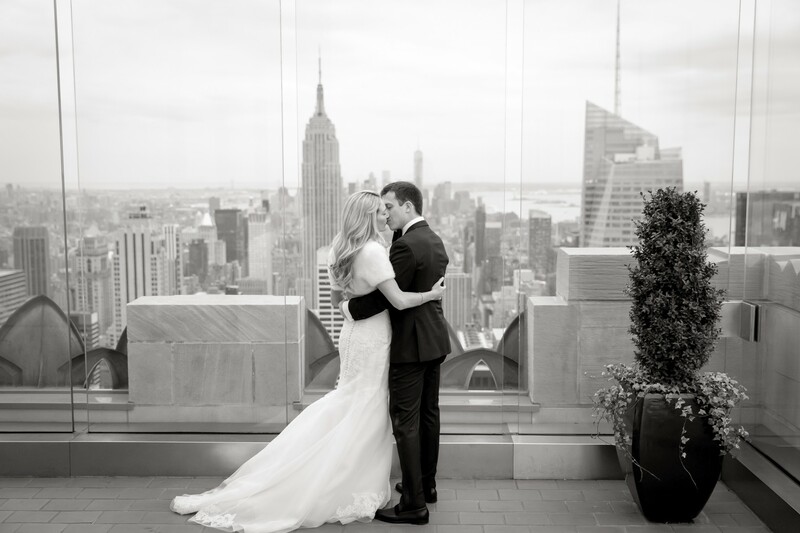 Their ceremony, surrounded by floor to ceiling views of the Manhattan skyline, was bathed in layered candlelight, golden Manzanita branches and so-chic white orchids. 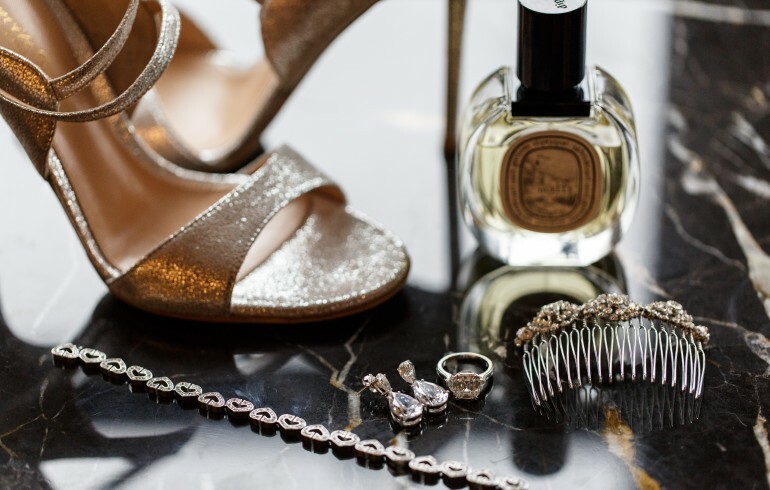 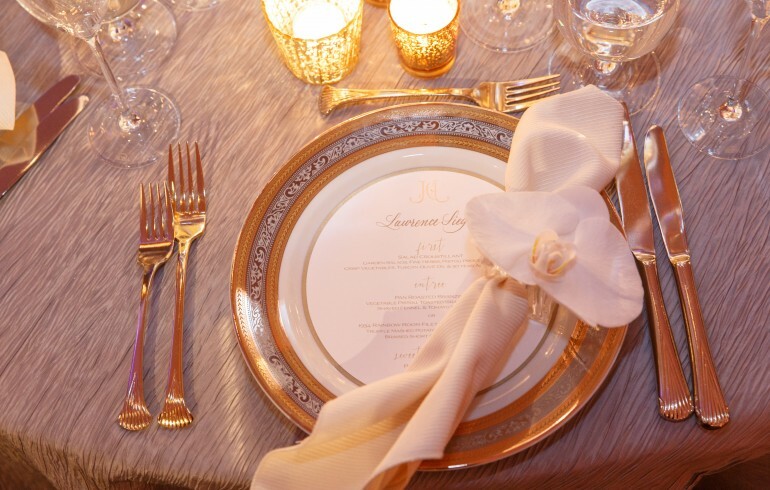 For the reception, we combined a polished, playful mix of high shine gold and silver metallic with crystal clear accessories to add radiance. 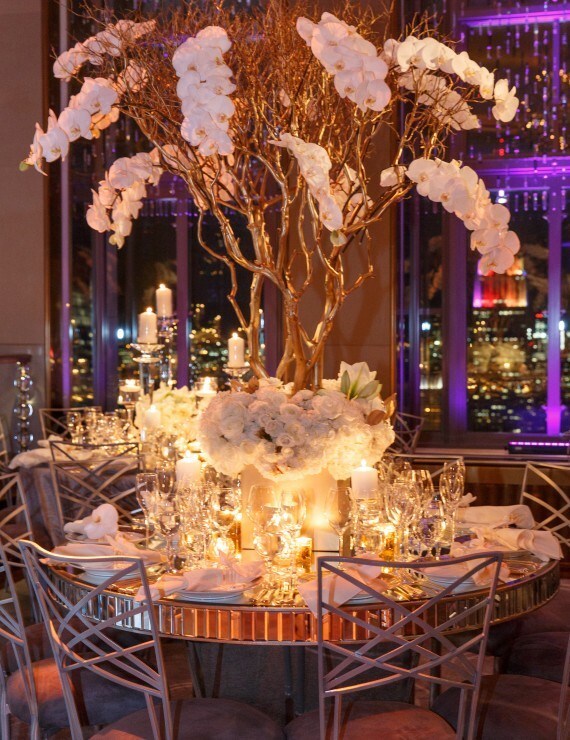 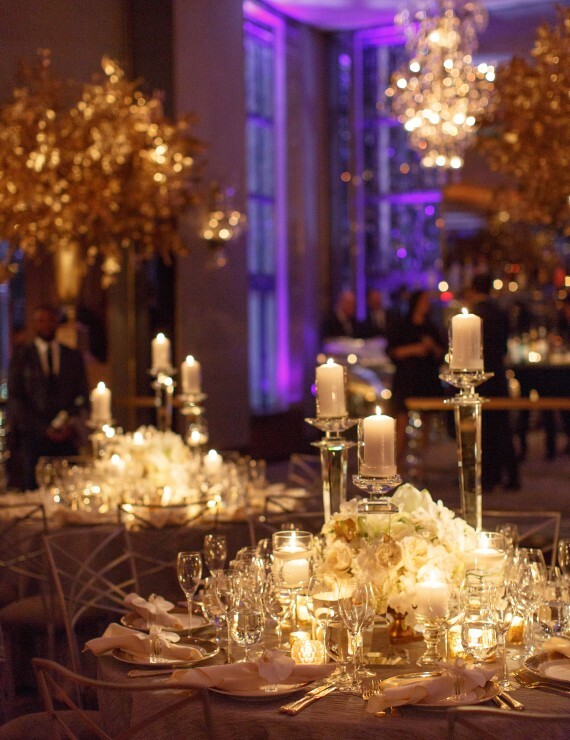 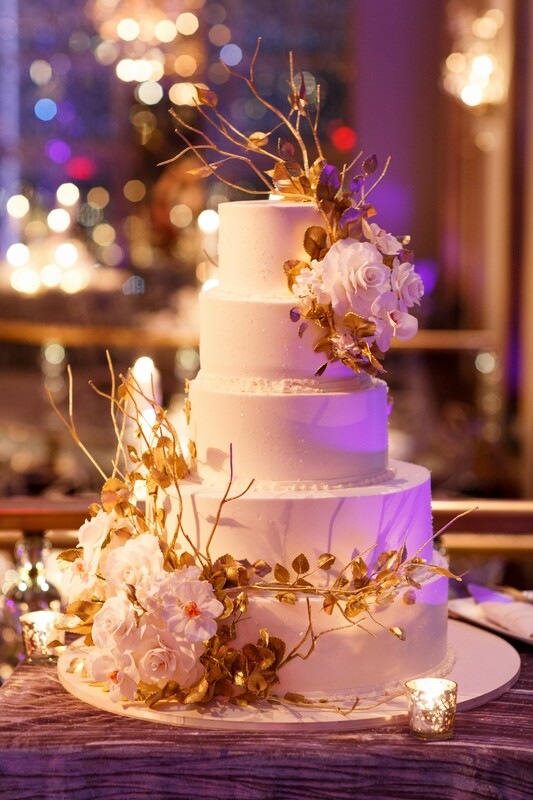 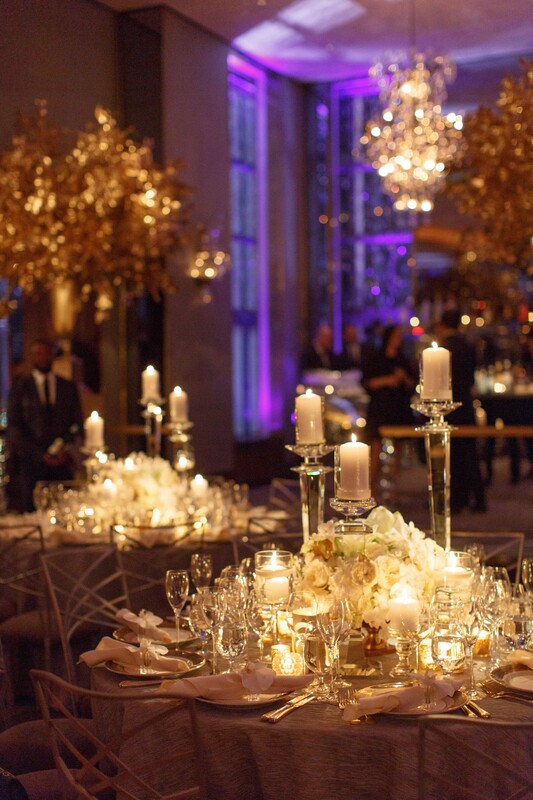 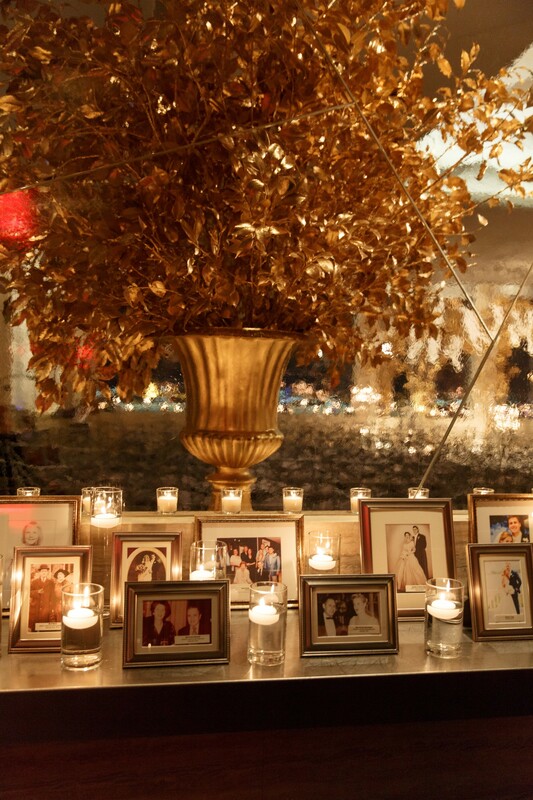 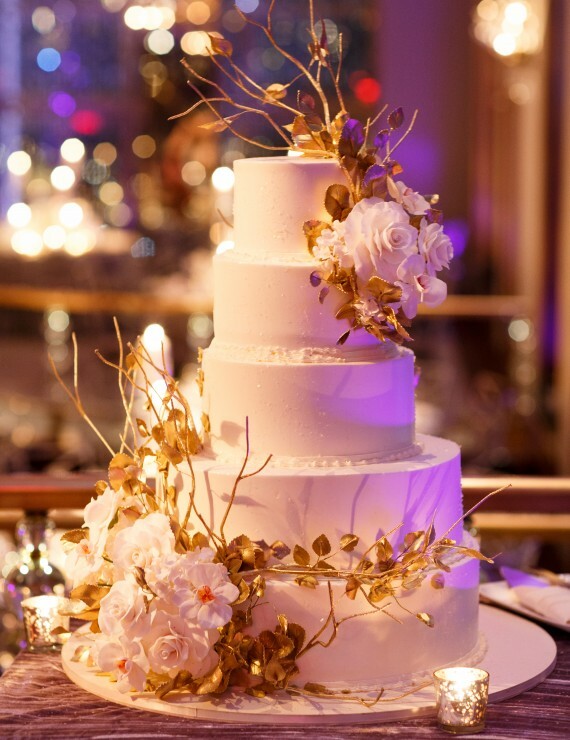 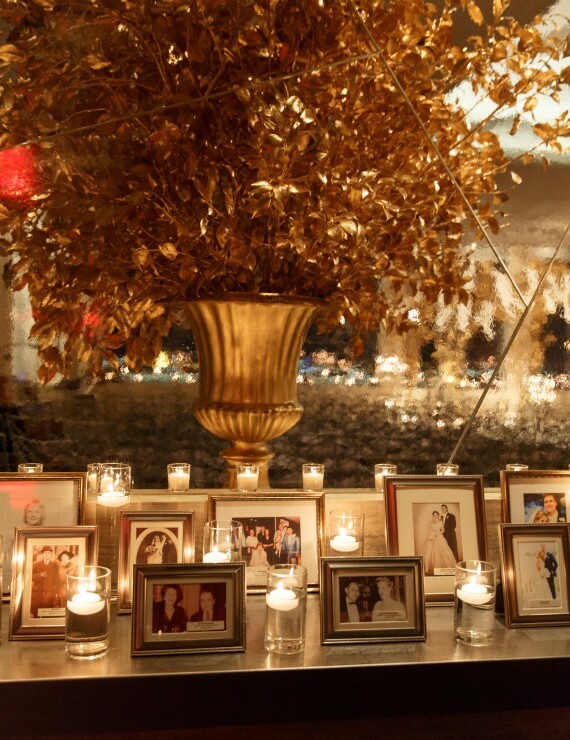 Over-sized gold leaf arrangements made gorgeous focal points, while delicate details, sparkling crystal and lush white centerpieces set an utterly romantic tone. 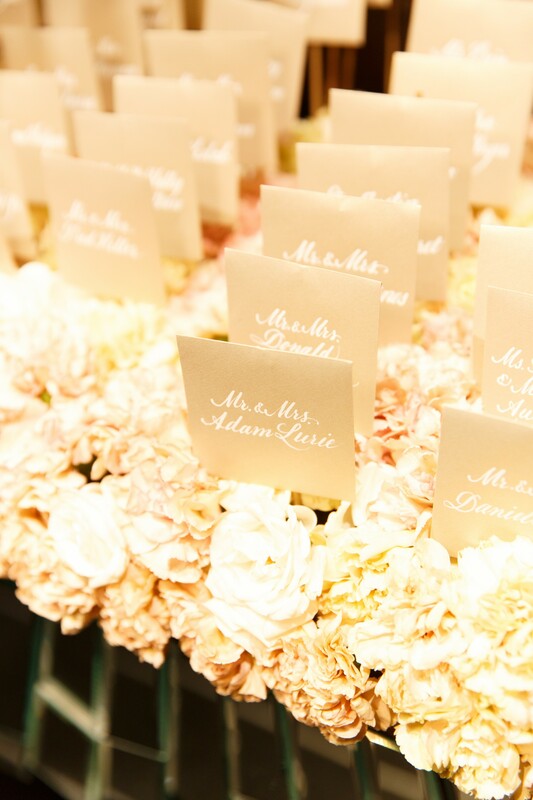 Mix it up and forget the rules!